A treatise on Advaita Vedanta. 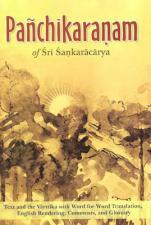 Unfortunately, this book is being reprinted in India and will not be available for a few months. We have left it on this site for your reference, but please do not place an order as we will not be able to fill it anytime soon. (We suspect the price will go up as well.) Thank you! According to the Advaita philosophy, only Brahman is real. All else is unreal. This unreality of the world, however, does not signify total negation. The world exists as an empirical necessity, but not as a transcendental validity. 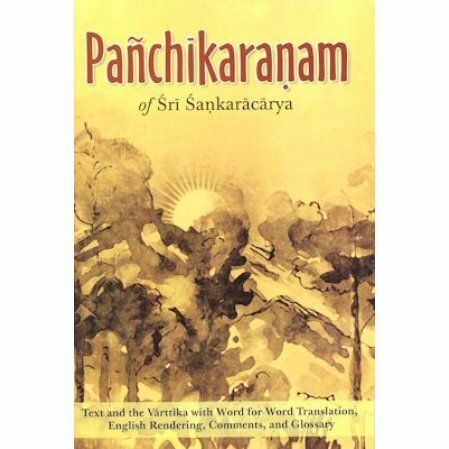 This Prakarana work (a topical discussion on one or more moot points) is one of the many treatises on the Advaita Philosophy of Sri Shankara. His aim here is not merely the satisfaction of scholastic interests regarding esoteric philosophical problems, but to lead people through such discussions to the realization of the Absolute. This is the mark of a great teacher. English rendering, comments and glossary.